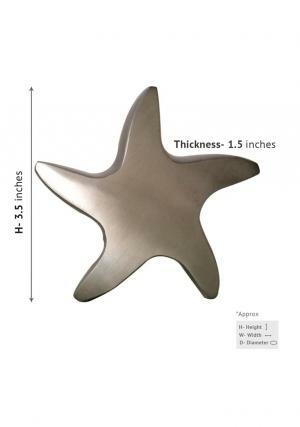 This legend star silver keepsake brass urn is a hand crafted & made with high quality brass material. In this elegant mini keepsake memorial urn, you can store loved ones funeral ashes and keep it at your home any place. 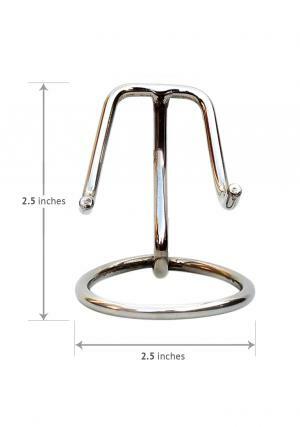 This graceful small urn is designed by skilled artisans. It will help to fulfill the promises of your loved ones. You can use this keepsake memorial urn as a decorative item. 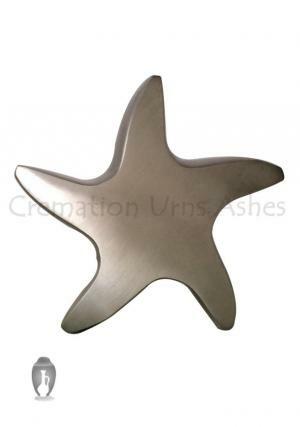 This refined star silver keepsake brass urn is simply finishing with nickel in star shaped. 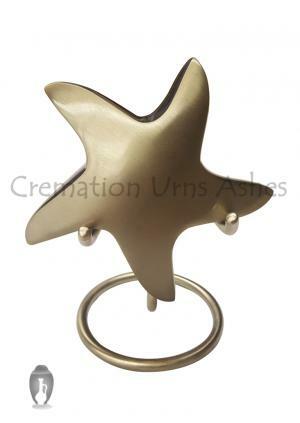 This small star shaped brass urn size is 3.5 inches height and 0.35 Kg weight. Buy online now and get free delivery within UK.